Yes, we’re still unpacking, and then there was the neverending sinus crud, that nasty yellow jacket sting that made my left arm look like the size of my thighs, cleaning up after a sick cat, and keeping up with Alex’s school activities and commitments, I haven’t baked, cooked, or done anything in the new kitchen for a month-and-a-half, except Easter. My family has been eating pizza and sandwiches more so than usual. I was beat. But the good news out of all the chaos is that I finally accomplished something I’ve had in the back of my mind for a while, because I promised you guys I’d do it: those deviled eggs! 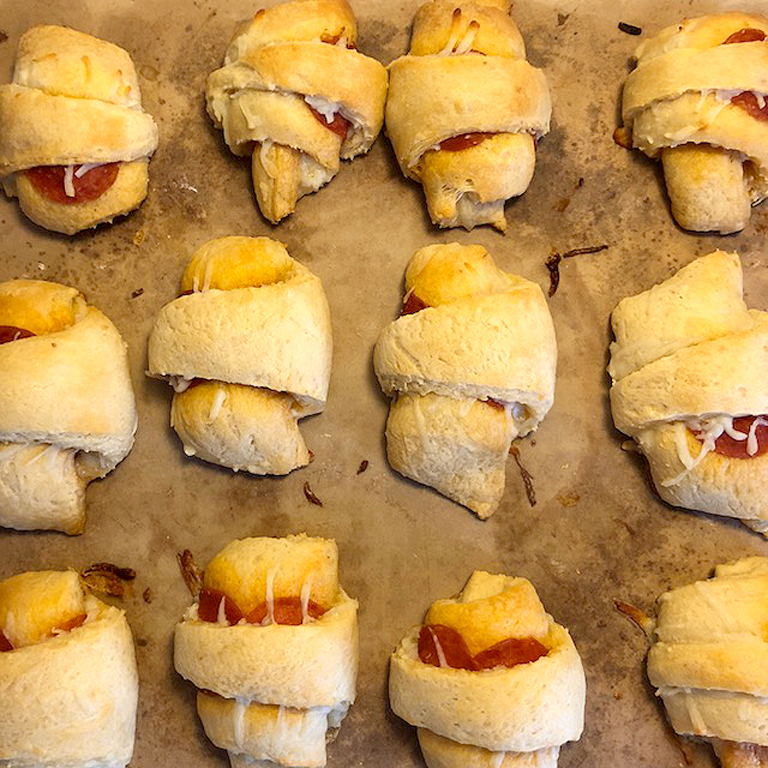 Since this is the first time making them, they’re easier than I thought! You boil the eggs, remove the shells (that part was quite tedious, like it was never going to end..LOL! 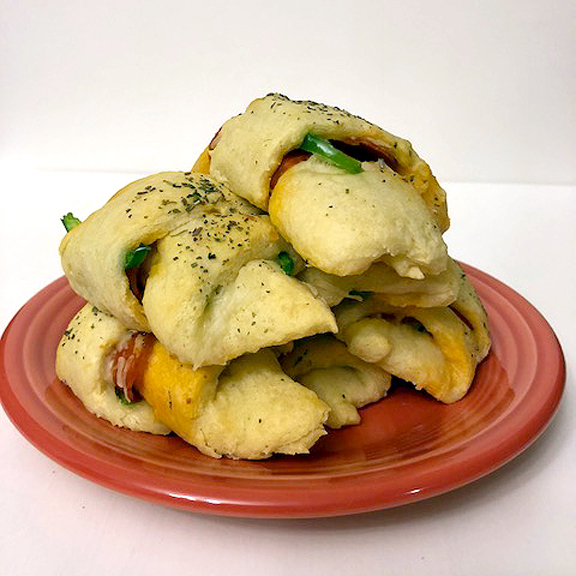 ), slice them in half, mix the yolks with flavorings and add-ins and you’re done! 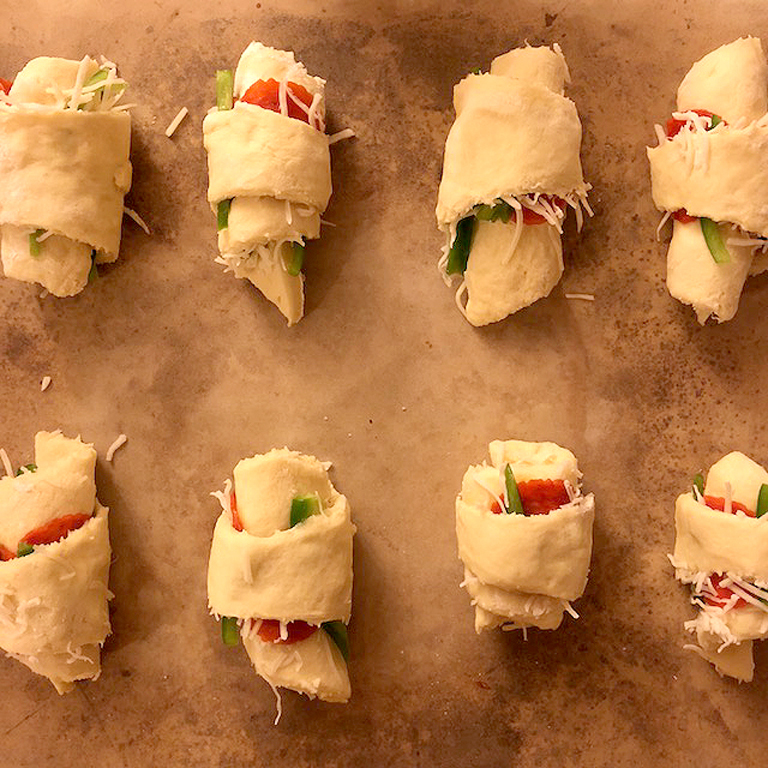 I used this basic recipe to help me get started. Instead of plain yellow mustard, I had some stone ground mustard that worked just as great. Then I added the bacon bits along with the paprika. I also used my icing decorator to make them look fancier instead of using a spoon. 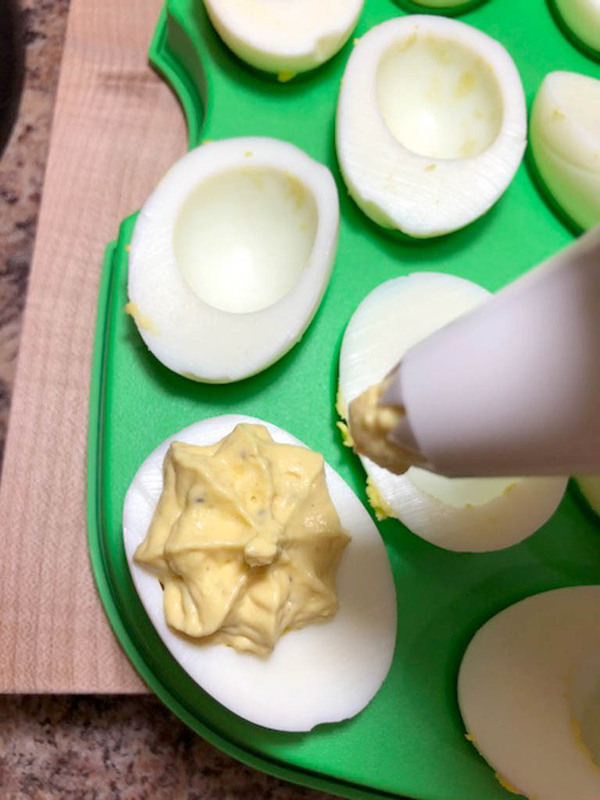 These deviled eggs are so good, I think I found my new favorite picnic food item to make besides dirt. Hopefully May will be a little nicer to me than April! • Fill the bottom of a large saucepan with about an inch of water. 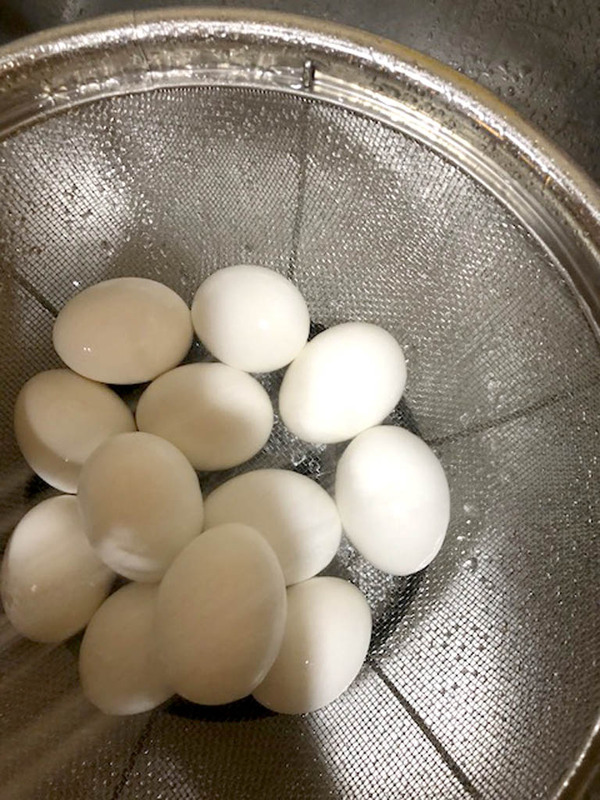 Place eggs in the water (eggs should be covered completely in water). Bring eggs to a boil, cover, and turn heat to low; cook for about 1 minute. • Remove saucepan from heat and leave eggs in covered saucepan for 15 minutes. Then transfer eggs to a colander and rinse in cold running water for about a minute. • Carefully crack egg shells; pat eggs dry with paper towels if needed. 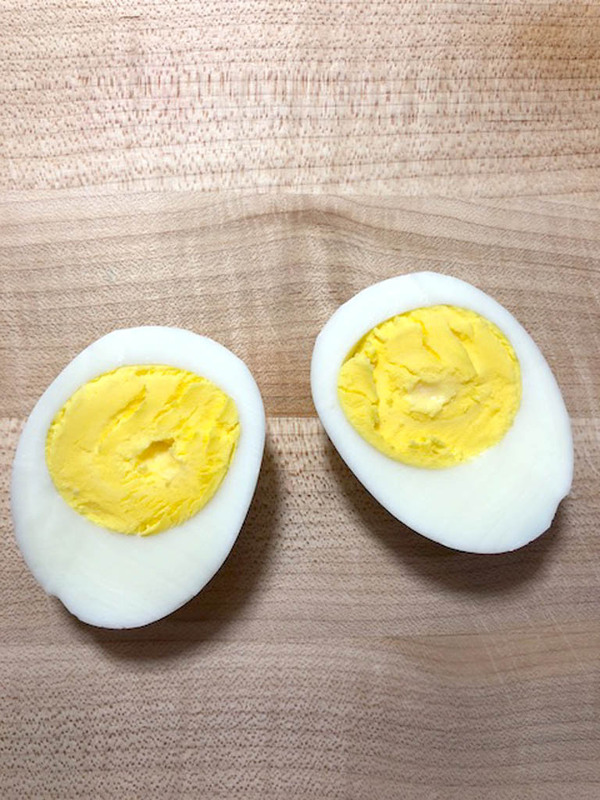 • Slice each egg in half lengthwise and remove the yolks to a large bowl. Place egg whites on a platter. • Mash yolks and then add remaining ingredients except for paprika and bacon bits. Scoop with a spoon or pipe yolk mixture with decorating tool into the egg whites. 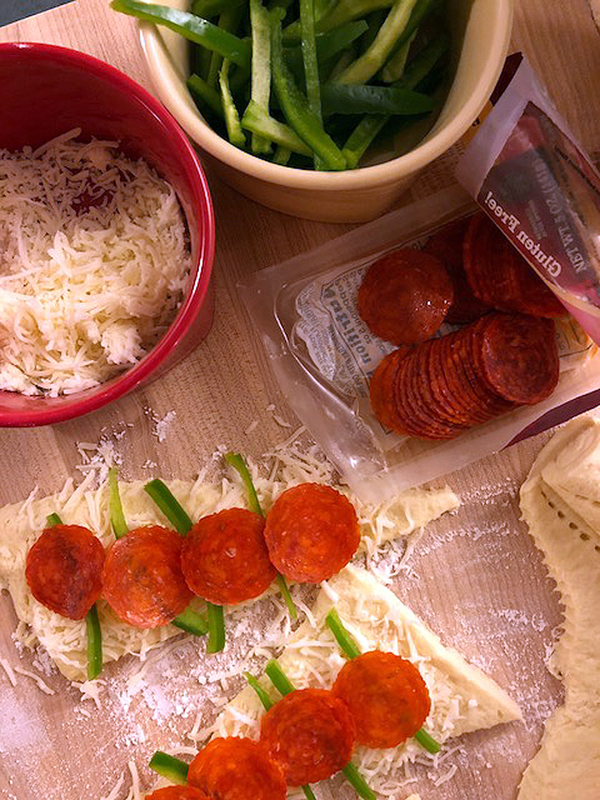 Sprinkle with paprika and bacon bits. 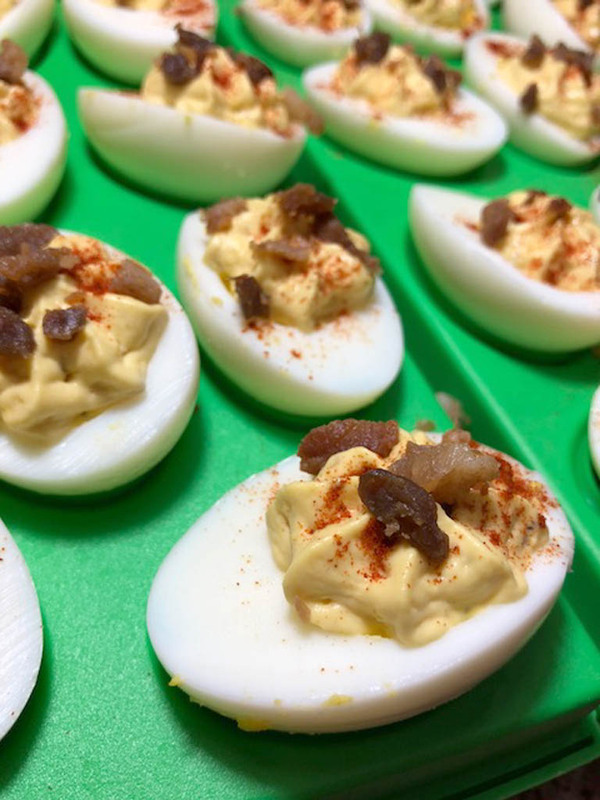 Your deviled eggs are ready to serve, or cover and place in refrigerator until ready to serve. 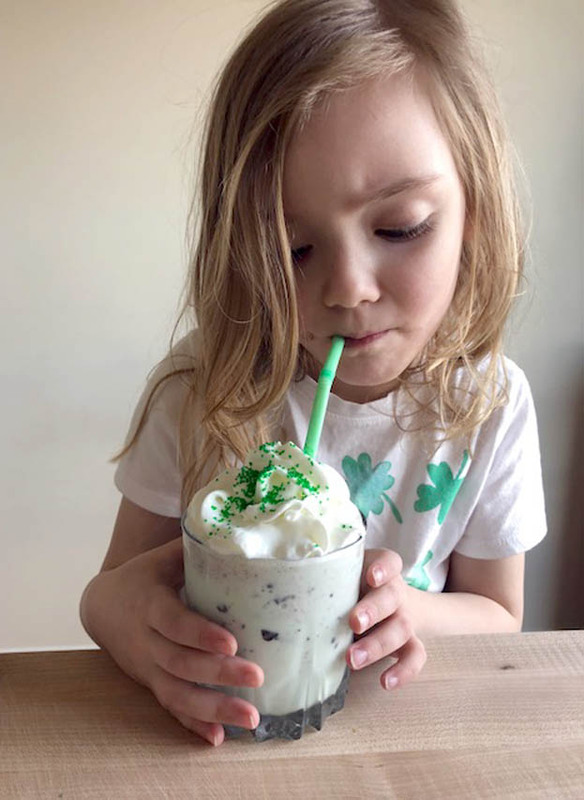 Shamrocks shakes are all the rage in our house…our new house! After a day of moving we ate at McDonald’s and Mike bought a large shamrock shake. Then the next day he did it again. Then the day after that…. 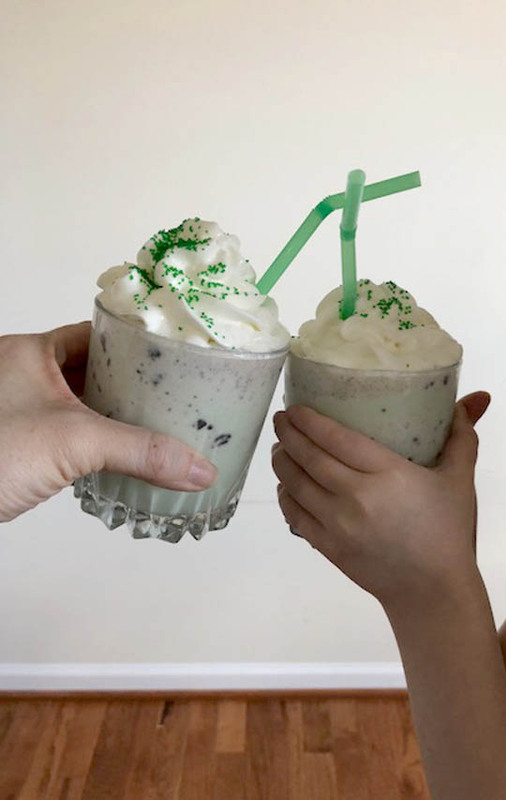 Moving is hard work, so why not cool off with a minty shake that only comes around once a year! Of course, you don’t have to wait a full year for the next round from McD’s. Just get the stuff and make one yourself! I remember the very first time I made homemade shamrock shakes. 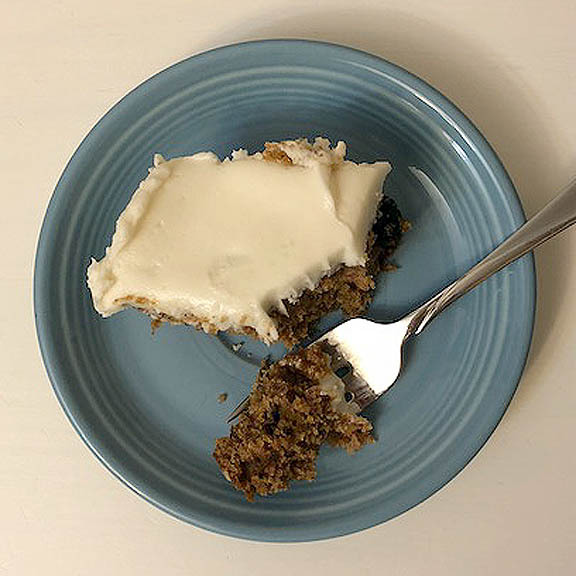 I added mint extract and it was so strong that I cleared out our guests’ sinuses pretty good! 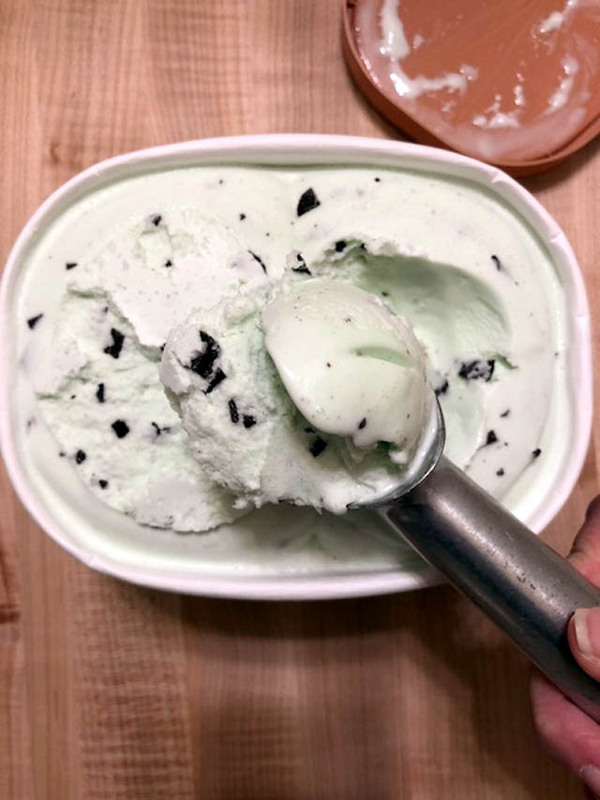 I kept the mint extract out since I’m already using mint-flavored ice cream, but if you do want to clear your sinuses out or have a little more minty kick to your shake, use a drop or two; don’t go overboard with it!! For a large shake, you can use about 3 drops. 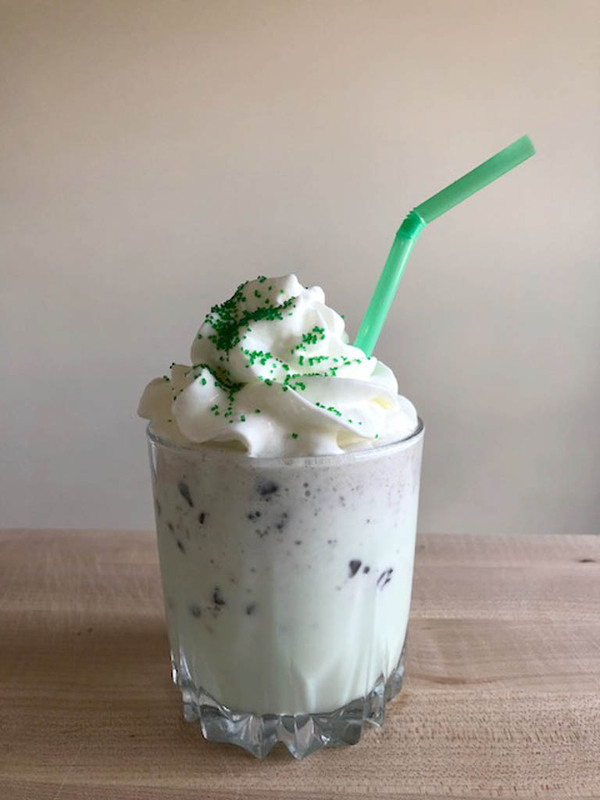 What’s also great about making homemade shamrock shakes is you can take charge of portion sizes and you’ll know exactly what’s in your shake! You can go whole milk or skim milk or use low fat or regular mint ice cream. With these I went the low fat/skim route, along with a little bit of whipped cream and green sanding sugar in celebration of St. Patrick’s Day. Shamrock shakes for days!! Now that’s something we can agree on! • Scoop about 6 scoops of ice cream into a blender. Add 1 cup of milk. • Cap the blender tightly, and mix until blended together. 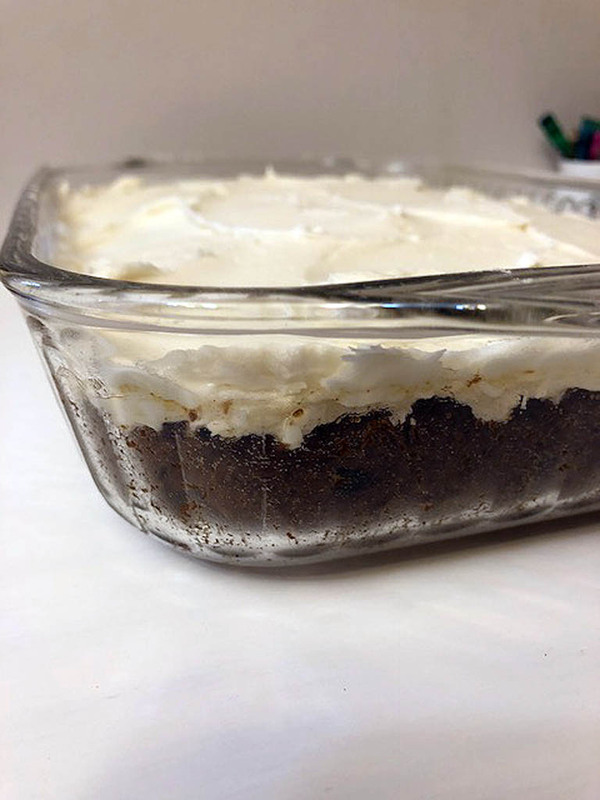 • Divide between 2 small glasses and top with whipped cream and sanding sugar. • Don’t forget the straws! * 6 scoops makes enough for two small 12 oz. glasses. 8 scoops makes enough for one large 16 to 18 oz. glass. 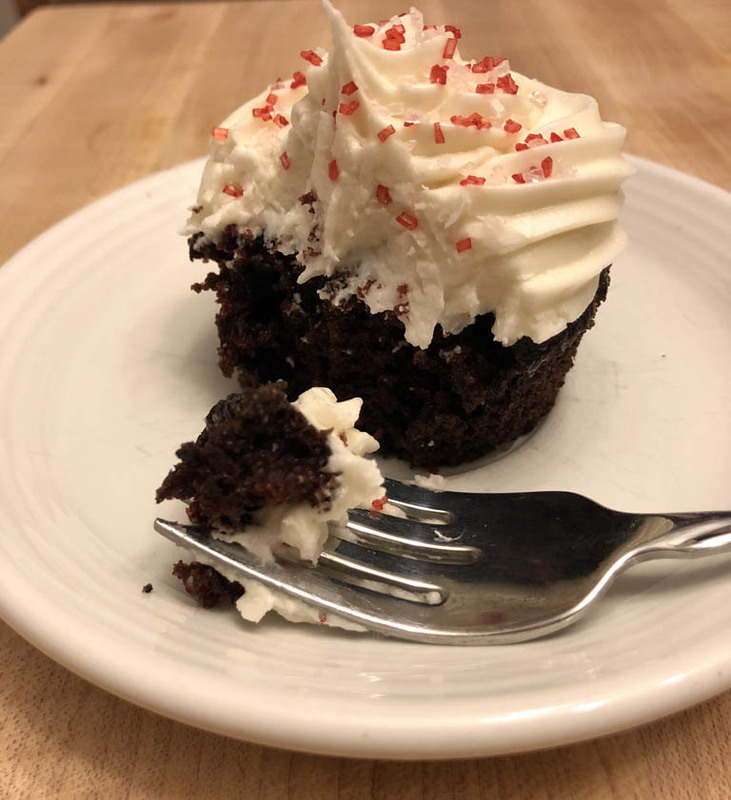 I’m currently on an 8-week weight loss challenge, but when your 5-year-old begs and pleas for cupcakes, the only way to keep her quiet is to just make the darn things and move on…without eating a single cupcake, and it’s hard! I also used to rewrite most of my mother’s recipes to make her recipe boxes look a little neater and more organized, and for them to close shut. The smeared ink and rips from the worn-out index cards used to drive me mad. The other day my brother asked about Mom’s salad dressing cake recipe. I found it, handwritten by me, of course. 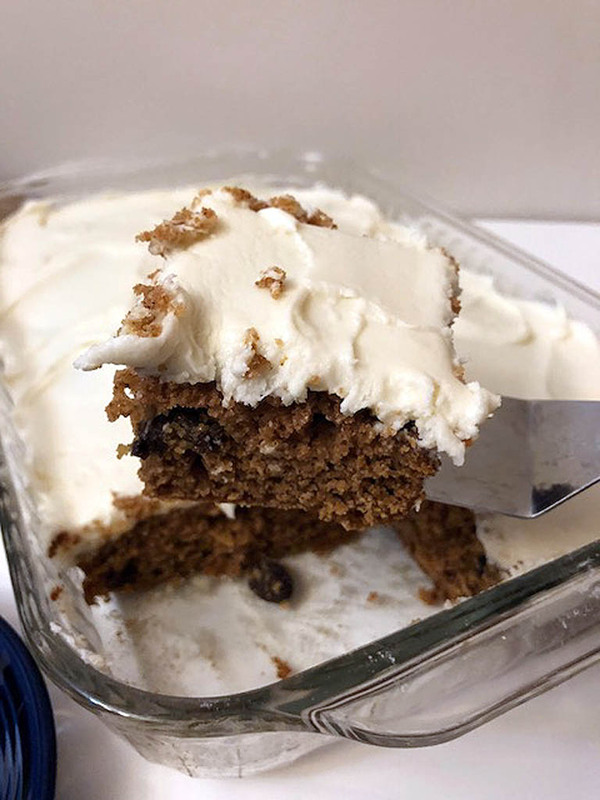 About this salad dressing cake, it only has 7 ingredients, not including the frosting, and it’s also what Mom liked when it came to recipes: quick and simple. I kept the index card out in case I make it myself. The child wanted cupcakes, so I tried the recipe in cupcake form, with mayonnaise, because that was what I had in the fridge at the time. 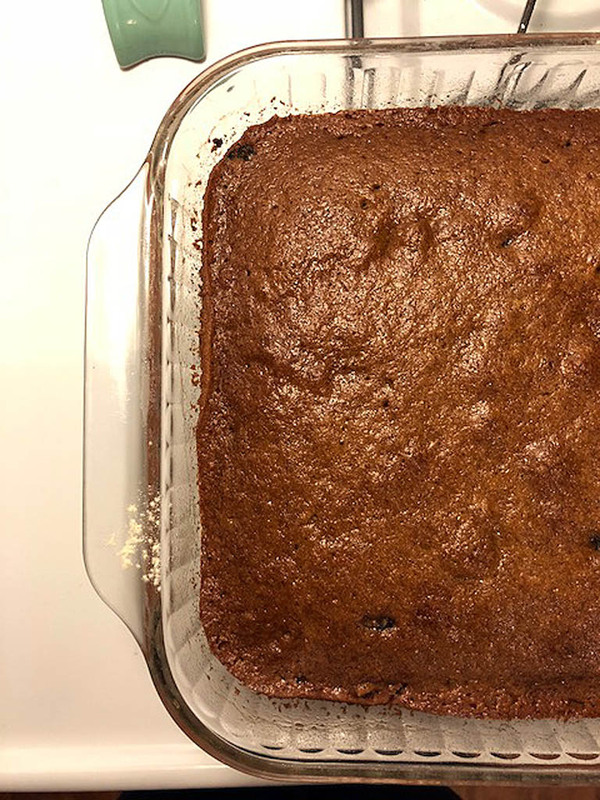 Other things I did to the recipe: Instead of flour, I used cake flour. Cake flour makes your cakes and cupcakes fluffier, and doesn’t make them dry, which dry cakes/cupcakes are a problem I usually run into. The recipe also calls for cold coffee. Because we don’t have a coffee maker, we rarely drink the hot stuff anyway, so I usually steer clear from any recipe that requires it. Thank goodness for the refrigerated stuff! 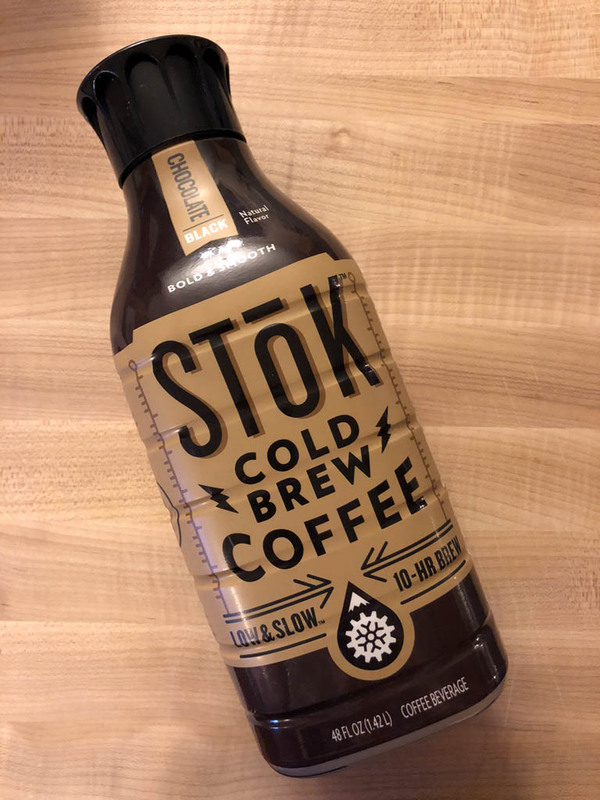 Recently Mike started up on Stok’s chocolate black coffee, so it’s a life-saver, even for him due to working nights and playing frontman for his band. 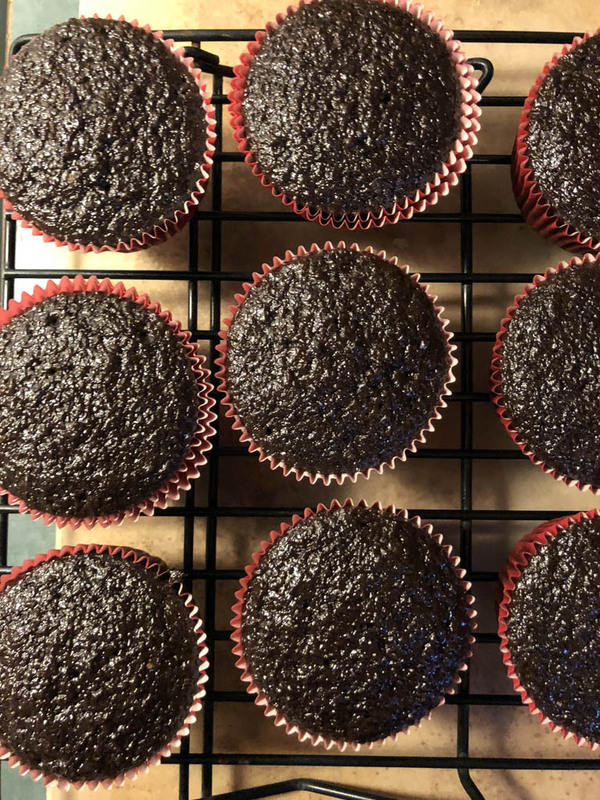 Using black coffee with a chocolate flavor gave the cupcakes an even darker color and more chocolate to the taste. But the star ingredient here is the mayo. If you have creamy salad dressing and no mayo, go for it! It works just as well. Once these cupcakes were cooled and frosted, peeling back the cupcake liner revealed how fluffy these things are, thanks to the cake flour. Okay, okay, I did allow myself to have ONE to taste-test. Now to test my willpower all over again! 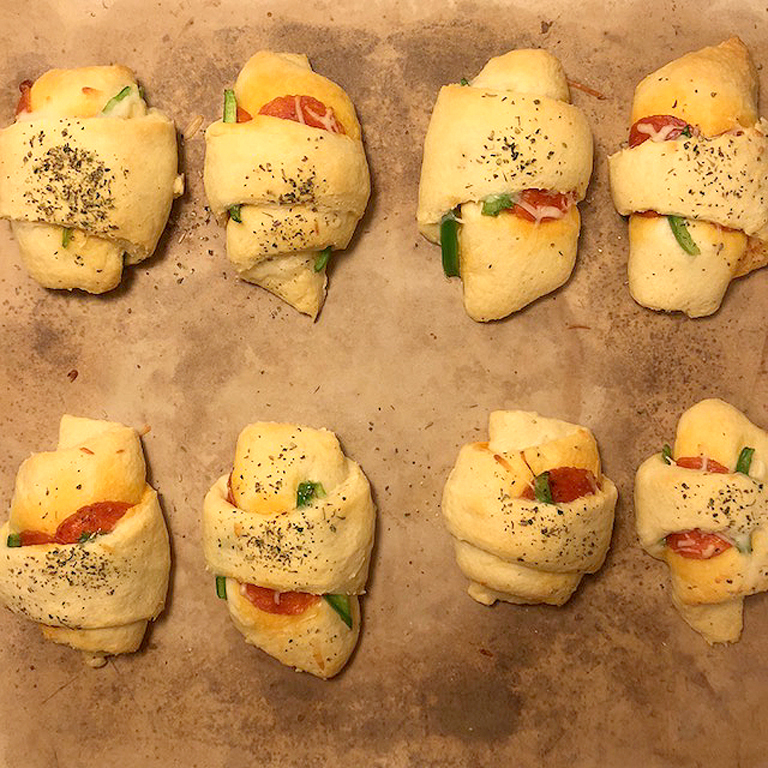 – Preheat the oven to 350 degrees. Line muffin pans with cupcake liners. – In a mixing bowl with a whisk attachment, whisk together cake flour, sugar, cocoa powder and baking soda. – Combine salad dressing, coffee and vanilla extract with dry ingredients. Mix together until blended. 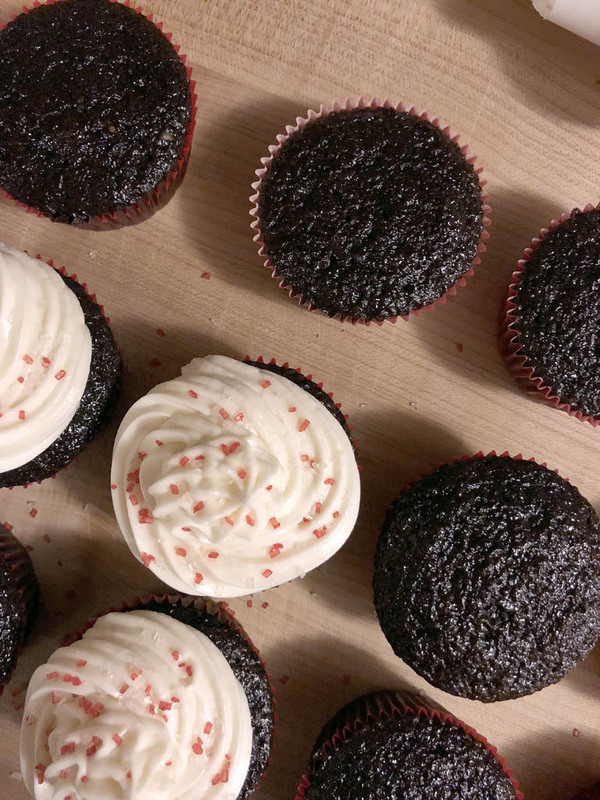 – Fill each cupcake liner ½ to 2/3 full. – Bake for 25-30 minutes, until toothpick inserted in a cupcake comes out clean. – Remove from oven and allow cupcakes to cool in pans for 10 minutes before placing on wire racks to cool completely. 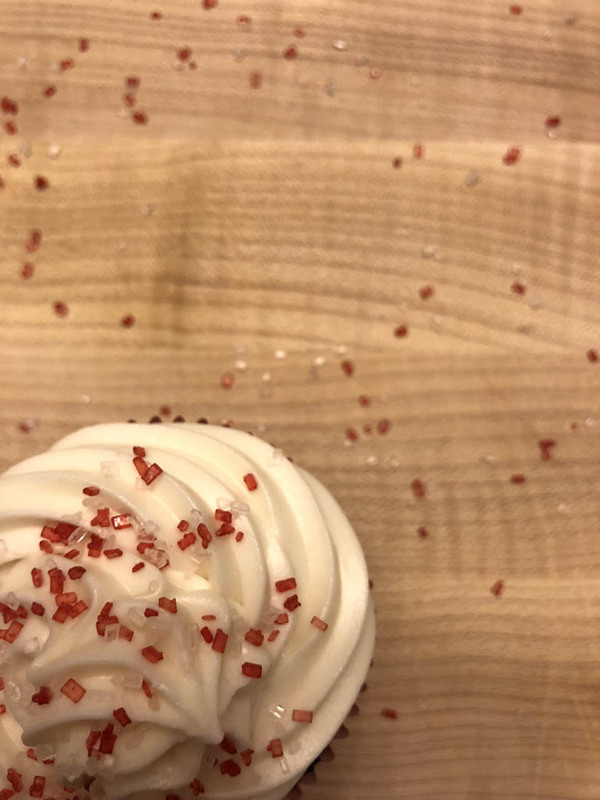 – For the frosting: Combine all 4 ingredients in a mixing bowl using a whisk or paddle attachment for about 3-4 minutes until frosting reaches a soft and smooth consistency. If frosting is mixing a little dry, add a little more milk. 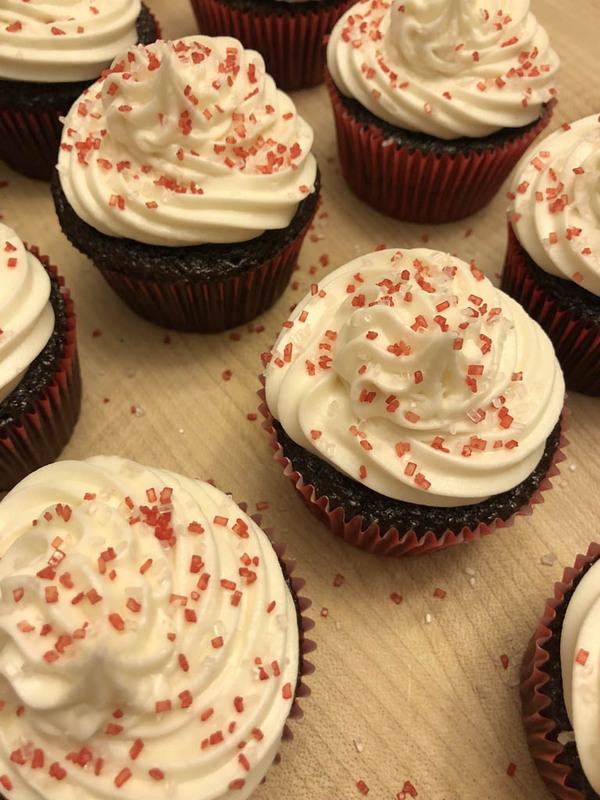 – Frost cupcakes using a small offset spatula. Makes 21 cupcakes.